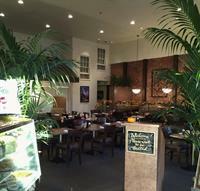 The Culcasi family opened 'Rosine's Restaurant' in 1980. The restaurant was an instant success and Rosine's established a reputation with satisfied customers who enjoyed their delicious homemade soups, hearty meals, and a sumptuous array of delicious, homemade desserts. 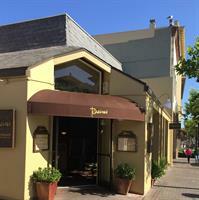 They are now celebrating over 38 successful years in Downtown Monterey and have been voted 'Best Family Restaurant' and 'Best Desserts' since 1992. Rosine's is a member of the Food Network family, featured on 'Diners, Drive-Ins and Dives' with Guy Fieri; episode name 'Stuffed and Twisted'. 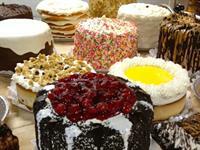 Rosine's continues a fine tradition of homemade food, daily specials, desserts and local wines, craft beer and spirits. 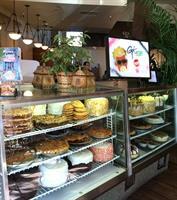 Rosine's is open 7 days a week for breakfast, lunch and dinner and weekend brunch. 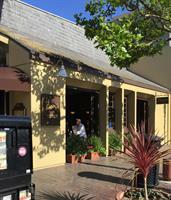 We are located in Downtown Monterey, California on historic Alvarado Street.